The United States of America is a federal republic which is located in the central region of North America between Mexico and Canada. "United States" is the continental United States encompassing 48 contiguous states and Washington, D.C., Hawaii, Puerto Rico, Guam, Alaska, the Virgin Islands and several U.S. territories. The country covers a vast diversity of ecosystems and features certain extreme and extensive geographic features. The United States is the 4th largest country in the world by area and covers a total area of 9,833,517 km2 (3,796,742 sq mi) of which land covers 97.7% and 2.23% are water bodies. The highest point of the country is Mount McKinley at 6,168 m (20,236 ft) . 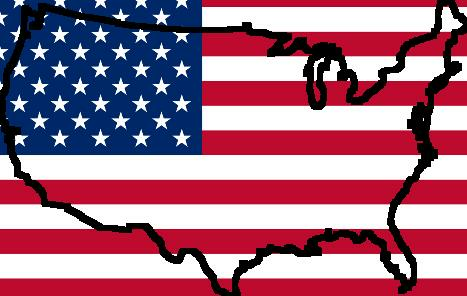 The United States is bordered to the north by Canada and to the south by Mexico. The contiguous 48 states or the Lower 48 are surrounded on the western part by the Pacific Ocean, on the east by the Atlantic Ocean and to the south eastern part by the Gulf of Mexico. Alaska lies in North America's north-western terminal and Canada isolates the state form the lower 48. Washington, District of Columbia, which is the capital city, lies in the mid-Atlantic part of the east Coast of the United States. The United States is a topographically varied country. The Texas-Mexico border to New York City along the the Atlantic and Gulf shores feature flat coastal plains. While the regions that extend to the inland are rugged with temperate forests and rolling hills. The beautiful Appalachian Mountains which comprise of many low mountains are a significant landmark of the country which separate the coastal plains of the east from the Mississippi Basin and the Great Lakes. The north western United States and Alaska are home to several mountain glaciers. Continental Ice sheets made up the terrain of the northern US. The United States may be broadly classified into eight physiographic divisions, beginning from eastern regions to the western part. The regions of the eastern and south-eastern coasts of the country are the Atlantic–Gulf Coastal Plain which further stretches from eastern part of Long Island to the Rio Grande; Cape Cod and also included are the islands off southeast Massachusetts. The Atlantic Coastal Plain widens from north to south and meets the Gulf Coastal Plain in Florida. The Atlantic and Gulf coasts feature several estuaries, islands, embayment, sandpits, and barrier beaches with lagoons. The northeast corridor of the coast encloses numerous natural harbors, like those of Chesapeake Bay and New York Bay while the southern coast has fewer large bays. The rippled Interior Plains regions lie between Canada in the northern half and the Gulf Coastal Plain in the southern half which extend from the Appalachians to the Rocky Mountains. The Interior Plains have deposits of many sedimentary rocks as the regions were once occupied by inland sea. The Mississippi-Missouri river systems drain the entire region. The Interior Plains are classified as the fertile central lowlands and the Great Plains. There are the lofty Rocky Mountains which lie to the west of the Great Plains which stretches into the north western region of the United States from Canada and further extends to the southern part into New Mexico. The Rocky Mountains is home to several high peaks. The region is broadly divided into four areas, namely the Northern Rockies, the Wyoming (Great Divide) Basin, the Middle Rockies and the Southern Rockies. The Continental Divide isolates the rivers which are Atlantic-bound from those flowing towards the Pacific Ocean. The Coast Ranges stretch parallel to the Pacific coast and lie to the west of the Sierra Nevada and Cascades. The coast separates forming a trough from the western regions. The trough encompasses California's Central Valley, Oregon's Willamette Valley and the Puget Sound lowlands in Washington. The Pacific Coastal Plain has few islands, harbors and is narrow. Alaska may be classified into 4 topographical regions from north to south, namely the Rocky Mountain System, the Arctic Lowlands, the Pacific Mountain System and the Central Basins and Highlands Region. The Appalachian Highlands lie on the eastern half of the United States. The region encompasses the Appalachian Mountains, the Adirondacks, the Watchung Mountains and New England province. Many millions years ago during the Ordovician Period. The Appalachian chain consists of series of valleys and ridge lines in alternating each other and they form a barrier to east-west travel which oppose any roads and routes stretching east-west. Mount Mitchell is the highest peak of the Appalachian Highlands. The Intermontane Plateaus is made up of a structure of plateaus, mountain ranges and basins which are broadly classified into physiographic divisions, such as the Columbia Plateau, the Basin, the Colorado Plateau and Range Province. This system lies between the Rocky and Pacific Mountain Systems. The Intermontane Region are the arid areas of basins and plateaus that occupy the western part. The Colorado Plateau consisting of sedimentary rock is drained by the Colorado River and its tributaries. Natural Hazards of the United States are associated to earthquake activities, tsunamis, volcanoes around Pacific Basin; tornadoes in the Southeast and Midwest; hurricanes along the Atlantic and Gulf of Mexico coasts; forest fires in the west; mud slides in California; flooding, permafrost in northern Alaska. The climate of the United States, based on its large size and diverse topography, is extremely wide ranged, which encompasses the entire global climatic conditions. The polar jet stream greatly influence the weather of the United States. The climate varies with the Hawaii's tropical rain-forest, Southern Florida's tropical savanna and Alaska's tundra and subarctic climates. The 100th meridian is the line that divides the humid and dry climates. The regions east of the line such as the south eastern parts of the country have humid subtropical climate while the North eastern parts have humid continental climate. Steppe climate are prevalent to the west of the 100th meridian. The hot, arid and driest regions of the nation are the parts of the South western United States consisting of the Intermontane plateaus. Mediterranean-type climate is found in the southern parts of California and the marine West Coast climate is common in south eastern areas of Alaska. The Pacific Northwest regions of the United States is well known of receiving plenty of rainfall annually and is one of the wettest regions of the nation. 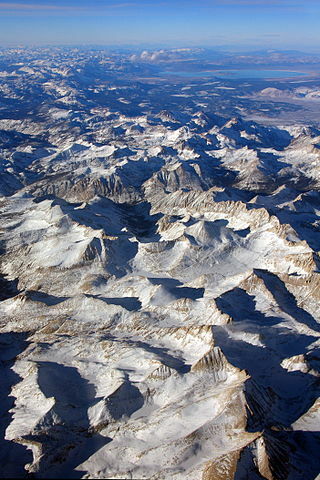 Highland climates are common in the Rocky Mountains, Sierra Nevada and Cascades. The Nor'easters brought in heavy snowfall and violent thunderstorms to regions such as New England and the Mid-Atlantic. The Great Plains greatly effect the world's climatic condition which bring extreme climatic swings. The extreme cold weather conditions with very low temperature are predominant in regions such as tundra, the northern Alaska and the arctic. The world's highest temperature was recorded in Death Valley, California. Tornadoes are most common in the central United States and has been recorded the highest occurrence on Earth. Violent Hurricanes are predominant along the Gulf of Mexico and the Atlantic seaboard. Destructive floods are common in the the Appalachian region and the Midwest regions while the worst droughts effected regions are the south western portions of the United States. Precipitation in the United States is scattered and varies widely throughout the country. The extratropical cyclones bring in major rainfall in the western, southeast, southern portions of Alaska annually. Rainfall in Hawaii and the western regions of the country are brought in by Pacific Storm systems. Annual precipitation is evenly distributed across the eastern and central United States. The regions such as the Great Salt Lake and the Finger Lakes receive snowfall due to the lake effect. The Great Plains and the southern corners of the nation experience thunderstorms that are brought in by the Southwest monsoon in combination with Gulf of Mexico and Gulf of California moisture. USA has three major mountain ranges, namely the Appalachians, the Rockies and the combined Sierra Nevada and Cascade ranges. The Appalachians are the oldest among the 3 ranges and stretch from Canada to the US state of Alabama. The ranges offer magnificent scenic mountain top views and many recreational camping areas. The Rockies stretch from Alaska to New Mexico and encompass many national parks. The Rockies with its spectacular landscape is a much sought for spots for many outdoor activities such as hiking, skiing, camping and sightseeing opportunities. The youngest among the 3 ranges is the combined Sierra Nevada and Cascade ranges. The Sierras stretch through California and encompass beautiful sites such as Yosemite National Park and Lake Tahoe. The volcanic Cascade range begins at the northern end and include some of the country's highest points. Listed below are the top 50 highest Mountain Peaks in the United States (Height in feet). La Plata Peak - 14,361 in Colorado. The United States Forest Service is a division under the United States Department of Agriculture. It manages, restores and safeguards the state's forests, trees and resources. The department is dedicated to promote building up new forests so as to enhance the growth of native plants and animals. Additionally, the division maintains a strict vigilance to reduce all deteriorating effects to the forests and its resources from insects, wildfire, land conversion, disease and any other negative agents. Tongass National Forest, Alaska - Largest national forest in the United States featuring wide range of temperate rain forests. Chugach National Forest, Alaska - It is the second largest national forest in the United States. Talimena National Scenic Byway, Ouachita National Forest, Arkansas-Oklahoma - Offering best scenic drive, the Talimena Scenic Byway features pictureque views of sweeping valleys and forested mountain tops. Gallatin National Forest, Montana - There are many miles of hiking trails with access into the Lee Metcalf and Absaroka-Beartooth Wilderness areas and also interlink with Yellowstone National Park trails. Uncompahgre National Forest, Colorado - The Forests features the beautiful Bridal Veil falls; Alpine Tunnel; and the Grand Mesa. Kaibab National Forest, Arizona - It features several prairies, canyons, peaks and plateaus and an offer ultimate peace, solitude and recreation. White Mountain National Forest, New Hampshire and Maine - There are several accessible trails and water bodies that offer varied recreational activities. Nantahala National Forest, North Carolina - It is the largest national forest in North Carolina which offers many outdoor recreational activities. Blackhills National Forest, South Dakota and Wyoming - The forests offers ponderosa pine, and hard woods like bur oak, aspen and birch. It has many rugged rock formations, gulches, canyons, open grassland parks, deep blue lakes and roaring streams. Sierra National Forest, California - The forests is significant for offering abundant natural resources and is well known for its picturesque scenic mountain views. 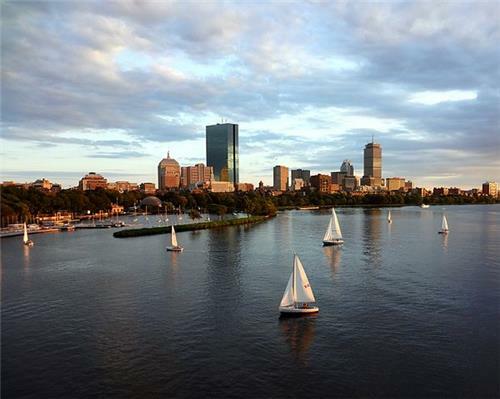 The United States has a vast inland waterway system which is the major lifeline for the nation's hydroelectricity, navigation, irrigation, flood control, and import and export hub. North America's lowest point of elevation is Badwater Basin, in Death Valley, California. The hottest temperature on Earth was recorded in Death Valley. The geographic center of all 50 states lies in the northern side of Belle Fourche, South Dakota, while the geographic center of the 48 contiguous states lies in the western part of Lebanon, Kansas. The world's largest freshwater lake based on surface area is Lake Superior. The lake lies in regions bordering Minnesota, Michigan, Wisconsin and Canada. Crater Lake in Oregon is the deepest lake in the United States. Missouri River is the longest river of the United States. Alaska has the longest coastline in the United States. One of the world's oldest living tree called Bristlecone pine trees are found in the western portions of the United States in California, Nevada, Utah, Colorado, Arizona and New Mexico. The climate of the country is hugely effected by the mountain ranges that extend in north-south direction. Yellowstone National Park lies on a bed of extensive volcanic called caldera that last erupted some many millions years ago.